You can mark your Out of Service items with a durable tag that's easy to put on. 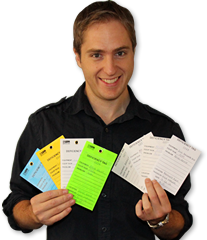 These service tags are a great way to make a more efficient repair and maintenance system in your facility. 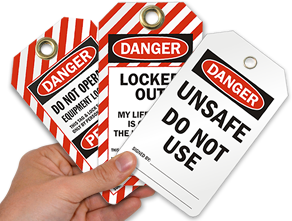 • Pick from a variety of materials and double-sided design - Out of Service tags can be used in a number of different ways. • This set includes twenty-five tough nylon ties for a complete tag set. 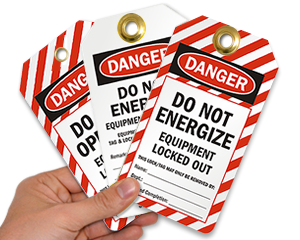 • Out-of-Service Lockout tags provide a vital message that can be attached almost anywhere. Sufficient for what is required. 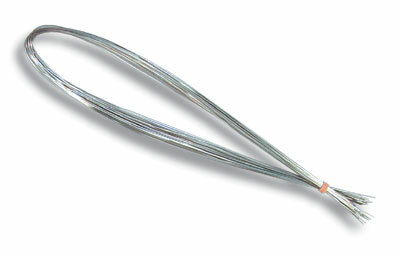 This item is according to descriptions, have an exceptional graphics and good material quality. It's a perfect tag for outdoor jobs. Strong vinyl of 15 mils and bronze grommet, makes of this tag an excellent choice for any harsh environment. Great Purchase! High Quality product and works great in damp/wet conditions!